Trades skyrocket over the weekend. Bitcoin traders are blaming malfunctioning software or bots for a slump in the value of the crypto-currency over the weekend, as the market experiences abnormally high transaction volumes. Bitcoin afficionados first noted the suspect auto-trading and posted about it on Reddit's /r/BitcoinMarkets forum. "It seems like someone's bot has malfunctioned on btc-e. Their volume is currently more than stamp and bitfinex combined, and the number of trades being blasted out is hilarious to watch," user nobodybelivesyou wrote. Typically, 24-hour volumes are in the thousands of trades. At the time of writing, Winkdex had an aggregate volume count from all the exchanges it tracks of 33,397 BTC, at a value of US$16.25 million (A$17.4 million). 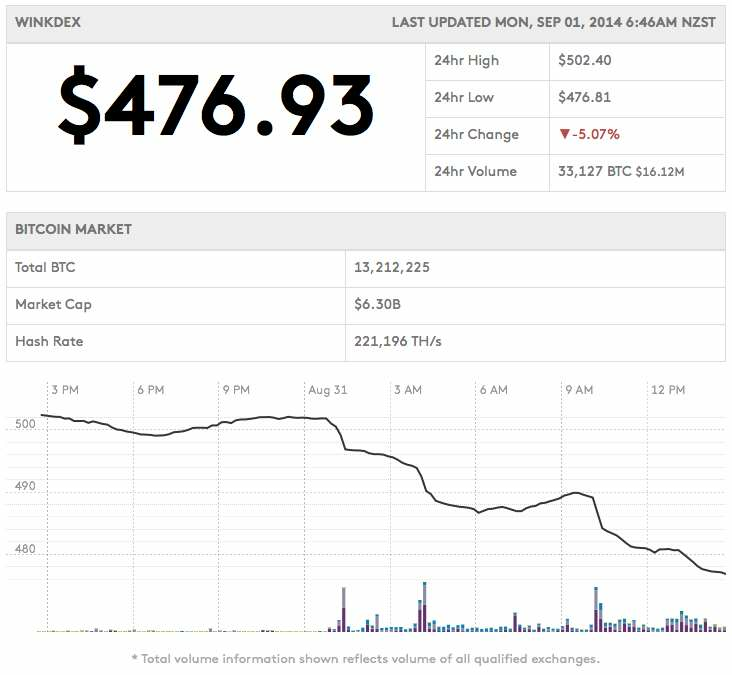 One reddit user speculated that the large amount of trading is an effort to make the Bitcoin price drop. "This looks like the activity you'd expect if someone had hacked a whole bunch of btc-e accounts. Wait until a weekend night/off hours for many users, and then sell your bitcoins to "yourself" in another account rapidly (to drive the price down)," said Political_douche. However, such a plan would backfire quickly on anyone attempting it, as the BTC-e exchange charges 0.2 to 0.5 percent transaction fees and the trader would also lose several US dollars per spread. The bot may be controlling other bots on the BTC-e exchange which saw large volumes of the crypto currency being traded. Other exchanges such as Bitstamp, Bitfinex and Huobi also saw huge volumes during the weekend.